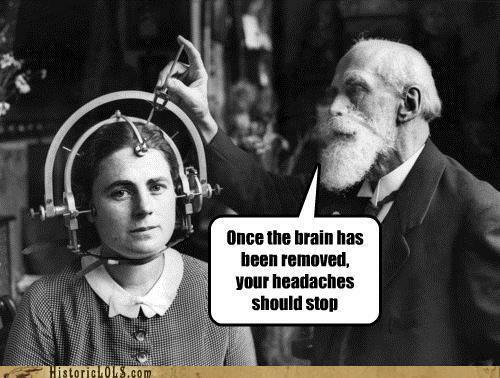 Went to the Doctors yesterday because I am so tired of headaches, day in day out, the pain in my head just won’t go away. Sounds like cluster headaches but I have no break in them, so possibly migraine the doctor reckons. She suggested that I try some Amytriptaline at a very small dose at night. However, Boots the Chemist say their suppliers don’t do a lactose free version! So, I have a conversation about whether they can get any from elsewhere and here is the rub: they use two suppliers who in turn have a range of manufacturers they use, and they don’t make them lactose free…. So I say “can you not find a manufacturer who makes them?” I add “ I can go on the internet and find out who manufactures some and give you the information”. But, what the guy is saying is that if their suppliers do not buy from these manufacturers then, no, they will not get them. Thanks BOOTS, what a ridiculous situation to put me in! Maybe I will have to go back to my Doctor and ask her to supply me with a separate prescription so that I can trawl the chemists in the towns trying to find a different one who uses alternative suppliers to BOOTS, in order to find a lactose free version whilst coping with a head that is being ‘drilled’ constantly. I also talked to her about my mood being up-and-down at present, becoming annoyingly teary throughout the day. It seems the past 6 months has finally caught up with me. My marriage breaking down and leaving my husband, moving home to a new area not knowing anyone and my mother dying, along with the trauma my sister is constantly putting us all through with her constant bizarre and unforgivable behaviour with my Dad. After a visit from a lovely lady (Alzheimers Support) giving me all sorts of information of what was available for Young people With Dementia, I joined a group for a ’stroll and supper’ at a nearby park. Not knowing the area at all, I planned my bus journey on the net, which stop to get off with a walk across the park to the meeting place. Yes, I felt anxious as I left and found I had forgotten my mobile phone, but ‘not sweating the small stuff’ decided it was not important enough to get it and risk missing the bus. It was a good night and met some lovely people, but I was excruciatingly aware that I was the only single person there, and this upset me greatly. So, I am going to ask whether it is at all possible to find out if there are other people with dementia who want to meet up as a group singly. So, all in all struggling a bit at the moment.